Welcome to my stop on the Bamboo Trilogy blog tour! 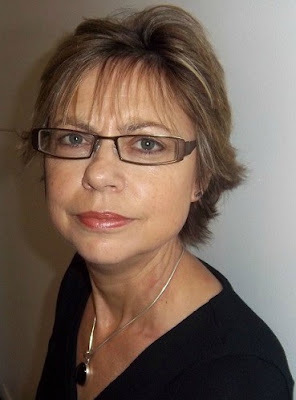 Today I have a guest post from the author, Ann Bennett, to share with you all. If you enjoy reading Ann's post, don't forget to check out the other upcoming stops on the blog tour! I’ve written in another post about how researching my father’s experience inspired me to write a story about a prisoner on the Thai-Burma railway. The resulting book, Bamboo Heart, actually started life under another name. It was called The Pomelo Tree in early drafts because a pomelo tree on the edge of a hamlet near Kanchanaburi on the river Kwai is the setting for a momentous scene that is the catalyst for the rest of the story. Looking for some feedback from readers, I posted my early chapters of The Pomelo Tree on the peer review site, YouWriteOn. (The chapters are still there if you look!). They reached number one in the charts which meant I qualified for a review from a professional editor. She was positive about many aspects of the book, in particular the central character, Tom Ellis, but she thought the name didn’t convey enough about the subject matter of the book. So I began to think about other titles. I remembered that my mother used to refer to the heart condition that many prisoners of war suffered through years of malnutrition as ‘Bamboo Heart.’ That seemed highly appropriate for Tom’s story, linking it to the jungle and the experience of the prisoners, but also conveying a suggestion of strength and strong emotion. Bamboo Island is the name of a real-life uninhabited island in the Andaman sea near Phi-Phi in Thailand. We have been there on longtail boat trips to skorkel and swim. But the Bamboo Island in my trilogy is actually based on Bangka Island off Sumatra which was occupied by the Japanese during the war. It is where the doomed ship, the Vyner Brooke, went down and where Australian civilian nurses were forced to walk into the sea and shot by Japanese soldiers. Reading about this shocking episode and the true story of the only survivor, Vivian Bullwinkel, sowed the seeds for the plot of Bamboo Island. Some of the scenes set on the island though, in particular the village where Mawar lives, were inspired by the village of Ban Tha Thondo on the tiny island of Koh Yao Noi off Phuket. The backstory of the character of Adam in Bamboo Island, as a soldier posted to the NorthWest Frontier to defend British India from the afghan tribesmen was inspired by another, earlier episode in my father’s life. Not being able to find work in London, he joined the West Kent regiment as a Private in 1932 and after a year or so was posted out to India. At some point he joined the Royal Scots Fusiliers and was posted to a remote place on the Frontier called Loralai. He would to speak about the Karakoram mountains and Balochistan, names which sounded impossibly romantic to me as a young child. Reading about the harsh, isolated life soldiers suffered in that landscape was the inspiration for Adam’s story. Bamboo Road is a path that runs between clumps of bamboo along the river Kwai from the river crossing at Tamarkan towards Chungkai camp. It exists only in my imagination and is the setting for many scenes in the book I named after it. Nowadays there are one or two roads and settlements along that side of the river. I have taken one or two liberties with the geography of the area for the sake of the story. For example Chungkai camp is further away from the town than I have set it, and the cave temples that Sirinya visits, although within walking distance from the town, are in a different location. 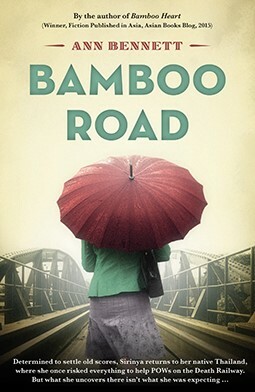 In writing Bamboo Road, I wanted to write about how the building of the railway and the Japanese occupation affected the local people. It was partly inspired by the story of Boon Pong, a vegetable merchant who had a contract with the Japanese to supply the prisoner of war camps around Kanchanaburi. He was a member of the Thai underground, the ‘V’ Organisation, committed to resisting the Japanese occupation and helping prisoners. He and his family took great risks, smuggling medicines and equipment into the camp, cashing IOUs for the prisoners. The character of Chalong, Sirinya’s uncle is inspired by Boon Pong, but the rest of the family and their story are entirely fictional. Incidentally, Chalong is a fairly unusual Thai name, but is also the name of a beautiful temple in Phuket. Sirinya is the name of a young tour guide we met in Chiang Mai. When I was looking for names for my central character I remembered thinking Sirinya was a beautiful Thai name. To find out more about Ann and her work, visit her website or her blog, or follow her on Facebook or Twitter. Will you be reading the trilogy? Let me know in the comments below!